Accidents in the production lines of vitamin A are continuing, adding more pressure on an already tight market supply. The price will remain high in the next months due to supply shortage. After the fire at BASF in late October 2017, a pipeline pump explosion accident occurred on January 10, 2018, at the factory of DSM in Sisseln, Switzerland. The company is the worldwide leading producer of vitamin A, besides producing other vitamins and minerals. The explosion was affecting the vitamin A production lines, which caused the company to suspended vitamin A production and the purchase of raw materials. As a result of the accident, the quotation for customers soared in Europe, hitting EUR390,000/t–EUR450,000/t. The explosion has a significant effect on the worldwide vitamin A market, as DSM determines the global price of vitamin A to a large extent. For example, when the company announced its plan in last October to suspend production six to eight weeks for an upgrade in the Swiss factory, prices have surged as a result. According to market intelligence firm CCM, the accident will greatly reduce the global vitamin A supply in the first quarter of 2018. Affected by the fire accident of BASF in Oct. 2017, the supply of VA can be resumed six to twelve weeks after March 2018, when BASF can resume supply of citral. 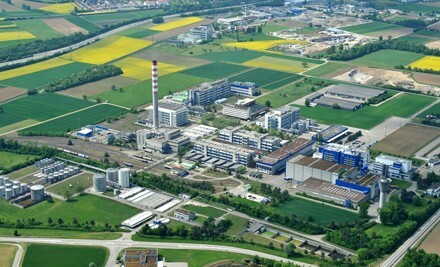 Bluestar Adisseo subsequently announced its reduction in vitamin A production in its France factory, adding that normal production is scheduled to recover in this April. China’s producers Zhejiang Medicine and Xiamen Kingdomway have also witnessed their vitamin A production decrease for insufficient citral supply. The global Vitamin A market was already tight before the fire. Vitamin A output in China was significantly disrupted during the summer as a result of inspections relating to environmental issues and new regulations. In December 2017, China’s domestic vitamin A producers raised quotations, which caused the ex-works price to hit a six-year peak in the country. After the BASF accident occurred, domestic producers suspended providing quotations while traders suspended supplying goods. Nearly 80% of vitamin A is used as feed additives. Therefore, the demand from the feed industry is influencing the market price decisively. In 2018, the policy of Live Pig Raising Ban in Specific Areas will get loose, according to CCM's research. Some large-scale enterprises released their plans in late 2017. Specifically, Beijing Dabeinong. invested several hundred million in the sector of pig-raising in early December. New Hope Liuhe disclosed last month its target of 3.50 million heads of live pigs in 2018 and 18 million in 2021. Shenzhen Kingsino also said that it would strive to supply 2 million heads of live pigs per year in the coming three years. In this context, the demand for feed is expected to rise, and further contribute to the rise in vitamin A price. The vitamin A industry has a high technological requirement for players. Currently, there are only six main producers around the globe, including DSM, BASF, Bluestar Adisseo, Zhejiang NHU, Zhejiang Medicine and Kingdomway. CCM expects domestic vitamin A price will remain high in Q1 2018 as the supply tightens worldwide. German vitamin giant BASF is not likely to continue to supply vitamin A and vitamin E until the end of Q2 2018 to the beginning of Q3 2018, given that the production can be resumed only after the normal production of citral, which was predicted to be in March 2018. Affected by this, Bluestar Adisseo, which produces vitamin A using BASF's citral, announced on 22 November that its factory a 19% vitamin A capacity of the world's total in France had cut production, and normal production was predicted to be resumed until April 2018. A fire occurred at BASF's citral factory in Ludwigshafen, Germany on 31 October 2017. BASF is the world's largest citral supplier, and its vitamin A and vitamin E capacity account for nearly 26% and 17% of the global total. In Q1 2018, about 45% of the global vitamin A capacity will see production suspension. The company said it will not be able to restart before March the citral plant at its Ludwigshafen headquarters that was damaged by a fire and that shipments of downstream vitamin products would resume six to 12 weeks after the start-up of production. Get insights into China’s vitamins and minerals market by subscribing to our monthly newsletter. This publication provides readers with all newsworthy stories of China’s vitamins market, including company dynamics, policy changes, import and export trends as well as technological updates.